Let's plan your wedding in a Countryside Villa in Italy. If you envision a wedding day immersed in an enchanting and unspoilt territory marked by a succession of vineyards or by romantic green hills you should select one of our beautiful Italian Villas in the countryside. 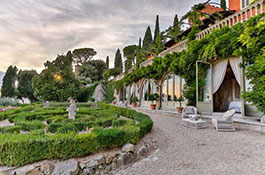 These magnificent retreats are located in the Tuscan countryside, Friuli and Veneto regions and the countryside surrounding Florence and Rome. 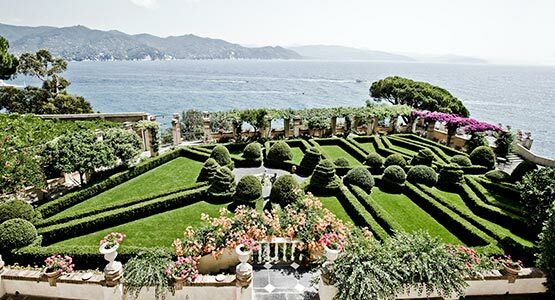 Italian Villas are surrounded by Luxuriant Italian Gardens and offer the perfect setting for an outdoor wedding ceremony and reception. 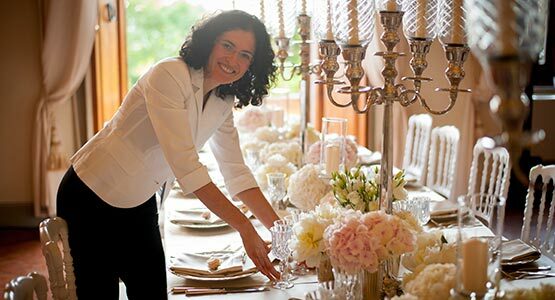 Our talented Italian wedding planners can help you design a rustic, boho, vintage or country-chic style for your wedding celebration in a Villa located in the Italian Countryside. 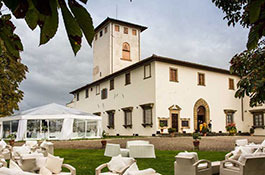 Countryside Villas generally include rooms or apartments on their premises and can be rented for more days, in this case we can help you to plan a rehearsal dinner, brunch, cooking courses, pic-nic or any other special activities to make your wedding in Italy a truly unforgettable experience. 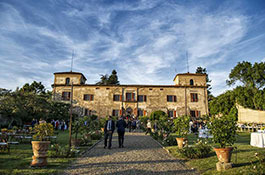 The Idyllic Italian Countryside is the right place for a relaxed and intimate Italian celebration surrounded by luxuriant gardens and impressive decorative halls. 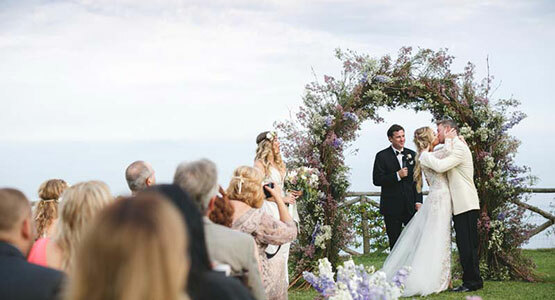 Get married in an Italian Villa: our qualified and highly responsive team will help you the select the right venue for your destination wedding in Italy. 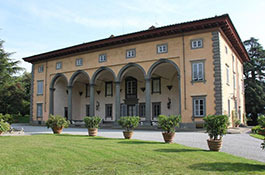 Impressive Renaissance villa in the Chianti district only few kilometers from Florence. The garden holds parties up to 500 people. Rented on a daily basis. Catering service for banquets. 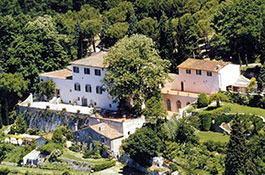 Private 11th century Medicean villa only 15 minutes' drive from Florence. Sit down receptions up to 180 guests. Rented on a daily basis. Accommodates 34 people in 5 suites and 5 villas. 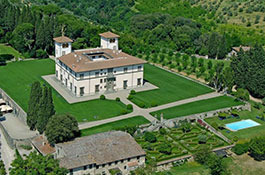 Medicean villa few kilometers from Florence with magnificent frescoed halls and impressive Italian gardens. Holds parties up to 220 guests. Rented on a daily basis with catering service. 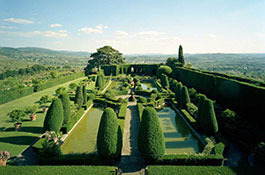 Medicean villa with spectacular gardens on the hills just outside Florence. Ideal for parties up to 120 guests, can be rented on a daily basis. 60 guests accommodated in adjacent farmhouse. 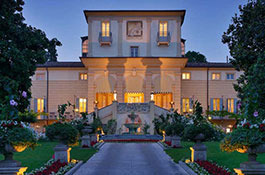 17th century villa with impressive panoramic gardens overlooking Florence. Ideal for luxury events up to 100 people. Accommodates 46 people. Minimum stay of 3 nights. 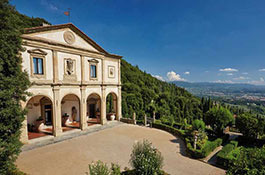 Luxury five star hotel on the hills of Fiesole. 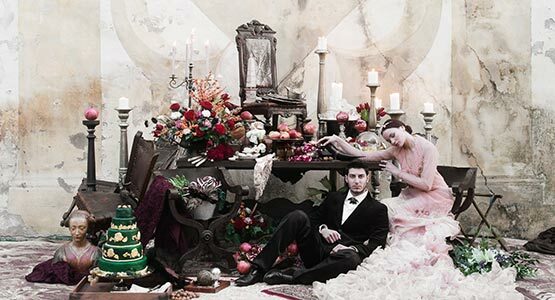 Very exclusive wedding banquets up to 110 guests. 45 sumptuous guest rooms. 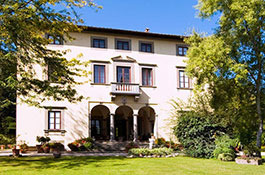 Country chic villa immersed in a natural park, only few minutes' drive from Florence. Ideal for parties up to 200 guests on a beautiful terrace overlooking Florence. Rented on a daily basis. 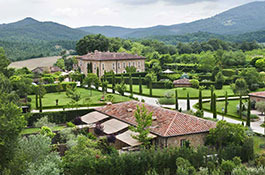 Five star Tuscan villa only few kilometers from Florence. 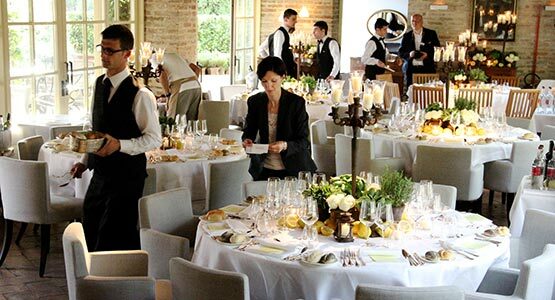 Surrounded by olive groves and vineyards, this property hosts parties up to 120 guests. Accommodation available for up to 60 guests. 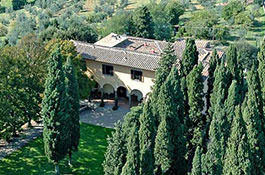 Panoramic and elegant countryside villa only few minutes' drive from Florence. Outdoor parties for up to 150 guests. 7 exclusive suites for a maximum of 25 people. Minimum stay 4 nights. 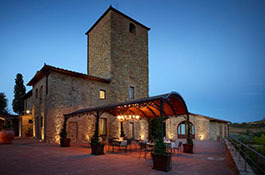 Five star boutique hotel near the city of Siena. Exceptional venue for luxury events up 100 guests. 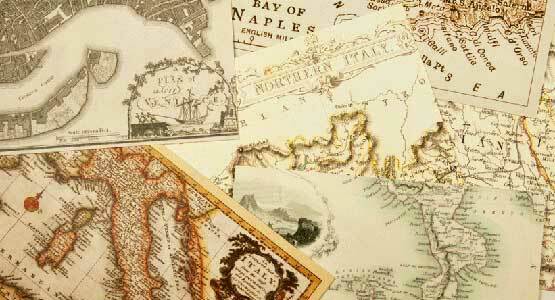 Accommodation in 16 exquisitely furnished rooms. 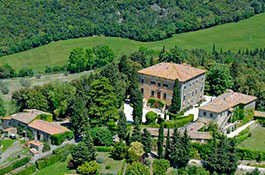 16th century villa in the outskirts of Siena, surrounded by a garden adorned with century old cypresses. Ideal for receptions up to 80 guests. Rented on a daily basis with catering service. 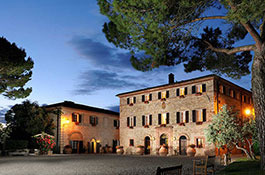 5 star Renaissance style hotel located in the Chianti hills. Symbolic ceremonies in the private chapel for max 60 people or in the gardens. The 36 rooms and suites can accommodate 72 people. Wonderful B&B on a hill in southern Tuscany. 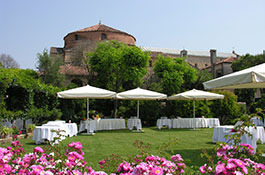 Wedding banquets for up to 100 guests outdoors or 30 people indoors. 8 rooms for accommodation, other 12 rooms available in the nearby hotel. 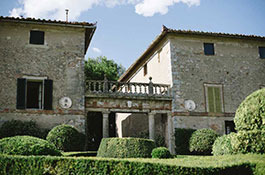 17th century countryside villa close to Siena, surrounded by a beautiful Italian garden. Parties up to 100 guests. Rental on a daily basis. Apartments and rooms for up 34 people. 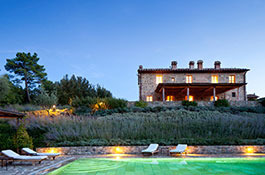 Superb Villa nestled among the Tuscan hills, suitable to events with up to 150 guests outdoors or up to 20 indoors. Accommodates up to 19 guests in the main villa and the lovely annex. 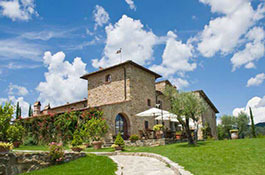 Luxury and exclusive country style borgo 40 minutes' drive from Siena. The central square can hold parties up to 120-130 guests. Accommodates 125 guests. Minimum stay 2 nights. 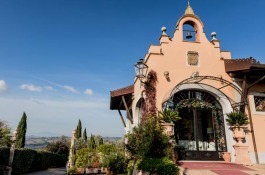 Enchanting borgo composed by 5 Tuscan style houses. Recommended for intimate events up to 50-60 guests. 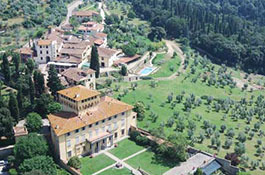 Accommodation in 22 bedrooms around a central piazza. Countryside farmhouse 1 hour drive from Siena. Beautiful garden for country style weddings up to 100 guests. The property can accommodate 40 people in 5 apartments and 2 independent villas. 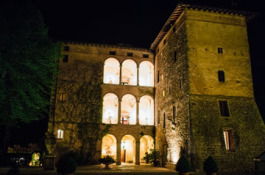 17th century villa located on a hilltop near Volterra, immersed in a delightful park. Recommended for events up 100 guests. Minimum rental can be from 4 to 7 days. Accommodates 40 people. 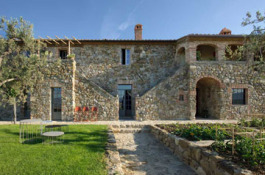 Ancient farmhouse located in the Chianti district less than 1 hour from Florence. Ideal for parties up to 200 guests. Rented on a daily basis. Food provided by catering service. This villa combines the elegance of Renaissance style with modern lines. Reception in the elegant halls for up to 140 guests. Exclusive rental for 1 day, luxury bedroom for the couple. 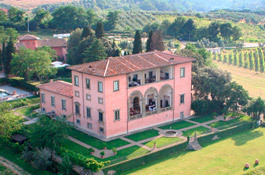 Elegant Renaissance mansion only 30 minutes' drive from Florence. Panoramic views of Chianti. This venue can host wedding parties up to 80 guests and can accommodate up to 55 people. 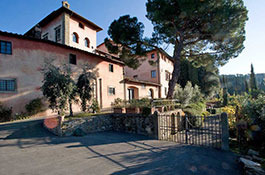 Gorgeous country villa only 1 hour drive from Florence. Enchanting outdoor garden for parties up 140 guests. 29 accommodation units. Minimum rental 2 nights. Historical villa surrounded by a huge verdant park of 9 hectares. Hosts parties up to 250 guests in total. Rented on a daily basis. Self catered apartments for up to 25 people. 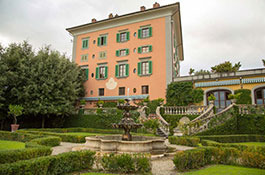 Patrician country residence immersed in a secular park with enchanting Italian garden. Holds parties up to 250 people. Catering service for banquets. 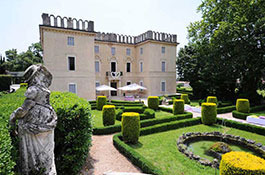 16th century Renaissance villa with impressive loggia and park with fountains and waterfalls. Rented on a daily basis, hosts parties for up to 220 guests. Intimate dependance for 16 people. 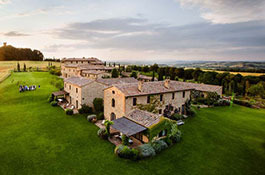 800 year old estate turned into a luxury resort on the sloping hills of Val d'Orcia. Very exclusive parties for up to 100 guests. 23 suites and 10 luxury villas available for accommodation. Small boutique resort located in the countryside on a hilltop overlooking the vineyards. Outdoor wedding receptions up to 150 guests. Accommodation in 7 double rooms. Minimum stay 3 nights. 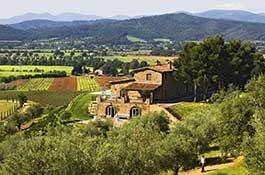 Medieval hamlet located 40 minutes from Arezzo, recommended for an authentic Tuscan experience. Receptions for up to 250 guests. Global capacity of 160 people. 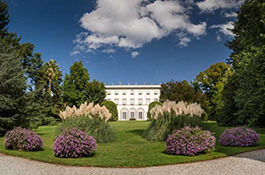 Located at less than 30 minutes from the center of Rome, this scenic villa is surrounded by a beautiful park. Holds parties up to 230 guests in the winter garden. Accommodates 12 people. Typical locanda located in the island of Torcello. Recommended for relaxed and elegant banquets for up to 80 guests. 6 double rooms reflect the original character of the locanda. 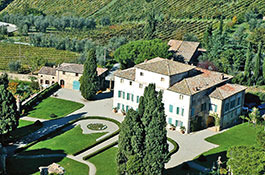 Located in the wine district of Valpolicella, 30 minutes' drive from Verona. Impressive garden. 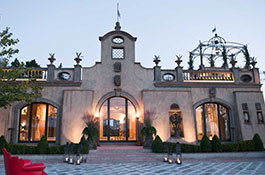 The villa holds up to 280 guests. Rental on a daily basis. Banquets with catering service. 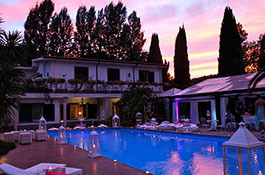 Contemporary villa hotel few kilometers from Verona that holds parties up to 110 guests. Accommodation in 59 rooms and suites.